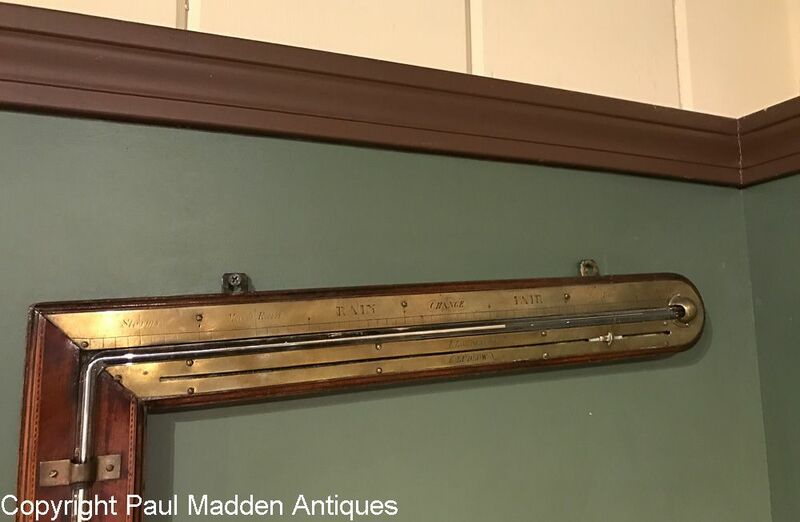 Rare antique 19th C. angle tube barometer marked L. Laffrancho, Ludlow circa 1825. 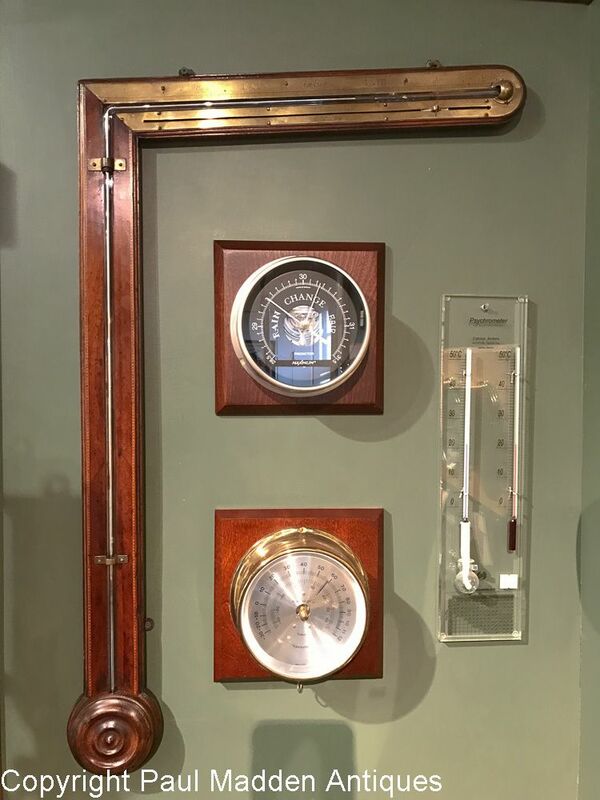 Mahogany case with brass register scale. Reads a bit high, otherwise good working condition. 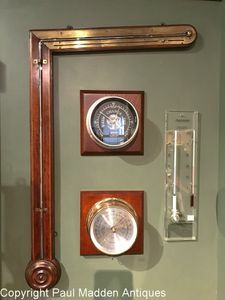 Measures 33" tall by 21" wide. Please disregard other instruments (not included in sale) shown in photo.